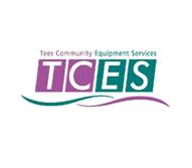 Tees Community Equipment Service is an equipment loan store developed to assist people with daily living and promote independence. independently in their own homes. To provide equipment to improve quality of life. ensure quality services are provided efficiently and effectively. The service also works with Acute Hospitals in the area, and is jointly funded by health and social organisations including Middlesbrough Council. Please contact the service for more information. Access to this service is via assessment only. A Health or Social Care Professional will assess your needs to ensure the correct equipment is provided.